How do you define a magician's Survival Kit? This is the definition SansMinds has concluded after consulting with hundreds of performers worldwide. 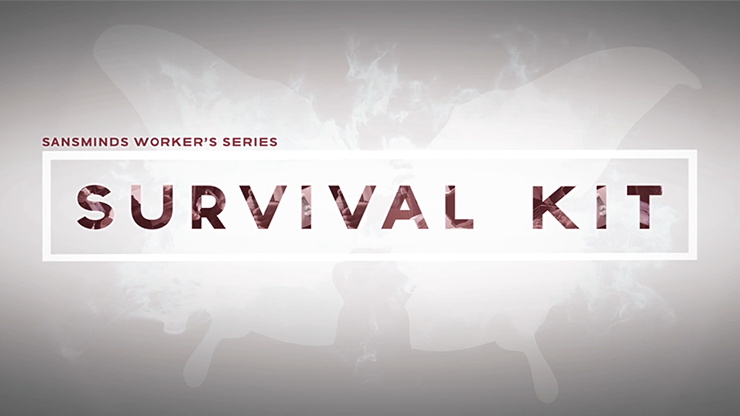 Survival Kit is a set of tools and knowledge that will enable the performer to survive in an unexpected situation. The SansMinds Creative Lab is proud to present you SansMinds Worker's Series: Survival Kit. A brand new approach to 5 iconic magic plots. In this DVD you will obtain the knowledge to build a show from daily objects. More importantly, the items used can be easily obtained from local dollar stores worldwide. You will no longer need to worry about finding special magic props when you lose your luggage during your travel. This is a must have for every magician. Prepare yourself from the unexpected and get the Survival Kit now.